15943 Brookridge Boulevard Brooksville, FL. 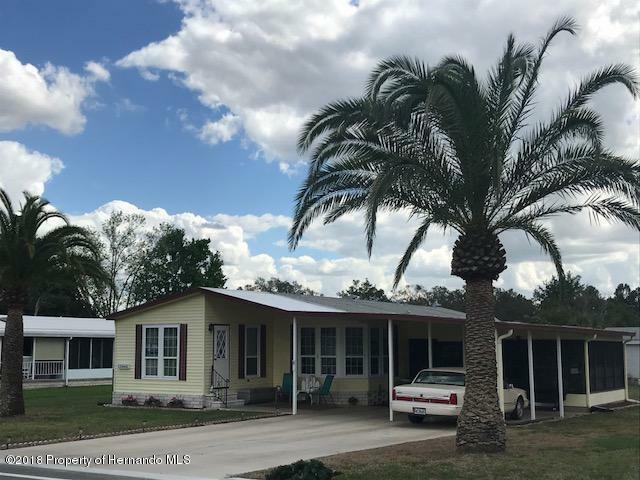 | MLS# 2190426 | Your Weeki Wachee Wachee Florida Realtor!! 2 Bedrooms, 2 Baths in a 55+ Golf Course Community with a oversized lot 90x100.Home features Wood cabinets, carpeted and wood floors, shower in Master bath with dual sinks. Roof is 2002, A/C 2004. Dual Pane windows 2010. Shed is 16x22, Lanai is 16x21.Close to shopping and Medical Facilities. Directions: R on Brookridge Blvd home is on left side.